Electroless Nickel is a chemical plating process which, unlike electroplating, does not require electrical current to deposit. Nickel is deposited to the surface metal via an 'autocatalytic' process which deposits the coating in uniform density to the surface being plated. 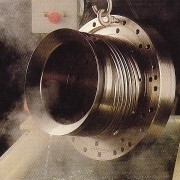 The Electro-less Nickel plating process has many advantages over 'electrolytic' processes in an engineering environment. 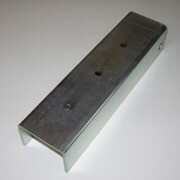 The coating can be used where a hard, corrosion resistant finish is required. A major advantage of the process is that it is possible to coat the whole surface of an item EVENLY, including internals, unlike electrolytic processes which have difficulty depositing into recessed and internal areas and can result in excessive build-ups on points, corners, etc. This process can provide significant savings when comparing to 'Hard Chrome' (an electrolytic process). To create an internal coating by electrolytic methods requires the use of complex anode arrangements which are generally costly to produce and set-up. With Electroless nickel, the coating will not distort the dimensions. Normally the item is machined with allowance for a coating thickness and not require post machining to regain the required dimensions (as hard chrome would require). UNIFORMITY of coating ensures threads, holes, recesses and internal areas all receive the same amount of plating as sharp corners, edges, flat surfaces and high points. 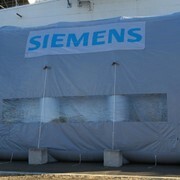 The coating can also provide resistance to a range of chemicals. Electroless Nickel coatings can provide WEAR RESISTANCE and CORROSION PREVENTION. LUBRICITY - it is able to slide over other metal surfaces without galling (reduces wear, increases service life). Can (like hard-chrome) be machined. However, THE REQUIREMENT TO MACHINE BACK TO TOLERANCES IS OFTEN ELIMINATED by the ability to apply the nickel coating uniformly and in thicknesses that can maintain tolerances to within approx 10 mil. Applications of Electroless Nickel Plating: Valves, tubulars, heat sinks, shafts, drilling equipment, rollers, dies & moulds, tooling, pumps, hardware & more. Wherever there is need to prevent corrosion, reduce wear or improve hardness and durability. Industries: Mining; Oil & Gas; Automotive; Water; Defence & Aerospace; Food*; Electronics; Gen. Industrial. 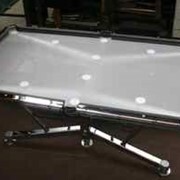 Top Quality Plating and Polishing for Manufacturers and Restorers Who Expect the Best. 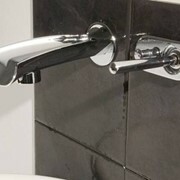 SOME of our services for Manufacturers, Innovators and Engineers include: Chrome plating, Gold Plating, Nickel Plating, Satin Finishes, Electroless Nickel Plating, Tin & Copper Plating, Plating on Plastics, Silver Plating, Barrel Plating, Rack Plating, Painting and Lacquering, Cleaning and Pickling. SOME of our services for Restorers and the Public include Restoration or Refurbishment of: Car and Motorcycle Chrome, Wheels, Bumpers and Trim, Silverware and goldware, Tapware and hardware, Jewellery, Musical instruments, Church Altar ware, Boat and Marine parts, Trophies, medals and regalia, Saddlery fittings, Brassware, Trinkets and more. Special services include chrome plating or re-chrome of plastic parts and zinc die cast parts as well as colour metallic spray finishes. One of the largest and most diverse surface coating and finishing ‘job shops’ in Australia, A-Class Metal Finishers (A-Class), supports manufacturers and engineering shops across the country with their needs for high quality surface finishing for a range of products and items. 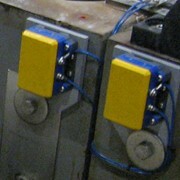 A Class Metal Finishers has capabilities in surface treatments and coatings for many substrate types e.g. 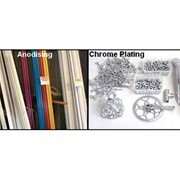 steel, alloys, aluminium, brass, stainless, ABS plastics and more. Finishes can include ‘functional’ coatings to provide corrosion resistance, hardness, improved conductivity or surface performance (e.g. tin, electroless nickel, high purity silver & gold plating, chemical cleaning, de-burring, passivation, etc). 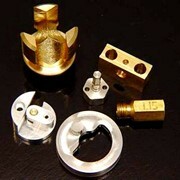 Decorative coatings / platings are also available (e.g. chrome, gold, nickel, silver, satin finishes, etc). Treatments are provided for many product types including tapware, antennas, tools & dies, hardware, lighting, electrical & electronics, wheels, and many other items. Extensive surface preparation and polishing services also support the high quality outcomes achieved. Mention IndustrySearch so A Class Metal Finishers can best assist you! Get a callback from an expert at A Class Metal Finishers to help answer your questions.